GP Patient Participation Groups (PPGs) Networking Events – Invitation. 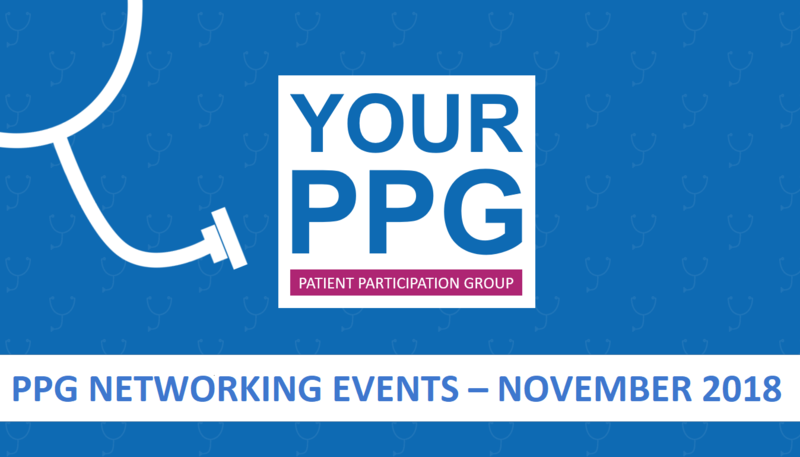 We are pleased to invite all PPG members, GP Practice Managers (or their representatives) and anyone who would like to find out more about PPGs, to our networking events on 16 and 17 November 2018. These events are a great opportunity for PPG members and interested parties to network, share ideas and to develop better patient participation. In response to requests from PPG members, our agenda will include short presentations from people at the forefront of technological advances in the NHS and the future of Domiciliary Care in Dorset. We are sure you will find these presentations of interest. Please do share this invitation with fellow PPG members or friends and family who may have an interest in these subjects. Everyone is welcome. Parking is available at both venues. * 6. We will provide light refreshments at each event, so please tell us if you have any dietary requirements. * 8. Which event would you like to book? Thank you for booking a place at our November PPG networking events. Once you have clicked "DONE" below your booking will be complete. You will not receive any further confirmation of your booking.